With a beautiful location on the banks of the Minnesota River, the city of Bloomington has much to offer travelers. Not only is it home to the world-famous Mall of America®, but this city of 85,000 also houses the stunning Minnesota Valley National Wildlife Refuge, Water Park of America, an extensive system of hiking and biking trails and much more. Twin Cities visitors also enjoy Bloomington’s many travel conveniences, including its central location, proximity to the airport, and easy freeway access to Interstates 35W and 494. In addition, Bloomington offers free parking, free hotel shuttles to the airport and Mall of America, and the Hiawatha light rail line, which runs from the Mall of America, to Minneapolis-St. Paul International Airport and downtown Minneapolis. The city of Bloomington’s #1 attraction by far, is Mall of America, the largest shopping center in the United States, welcoming over 40 million visitors annually. This shopping mecca boasts 2.5 million square feet of retail space, over 500 stores and countless entertainment options that range from nightclubs to the Nickelodeon Universe® amusement park to a 14-screen cinema. With all these great attractions, fine restaurants, and convenient location, it’s easy to see why the city of Bloomington is home to more hotels than Minneapolis and St. Paul combined – over 38 total, ranging from luxury to economy to suit families, tourist groups and business travelers alike. The history, art, culture and beauty of Minneapolis are marvels that must be experienced rather than witnessed. Nature meets skyscrapers, blending together to create unique sights and attractions that can only be experienced in Minneapolis. Tour the city with a knowledgeable guide, or venture into an adventure of your own; either way, the life of this city will unfold before your eyes. In Minneapolis, spectators become participants, so get ready to immerse yourself in our culture. 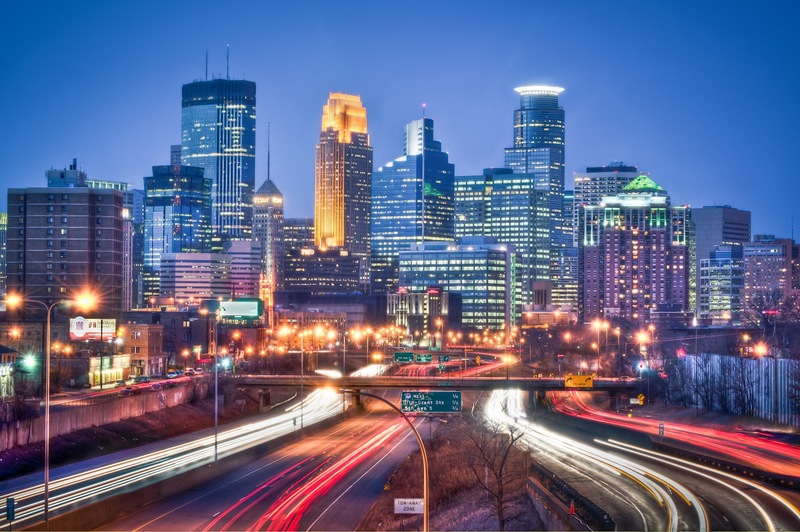 Downtown Minneapolis is located just steps from the Mississippi River.